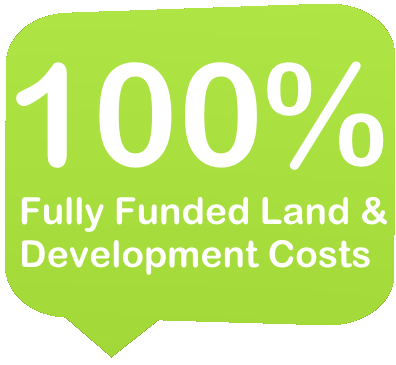 We bring together ambitious developers and those looking for opportunities to fully fund 100% of land and development costs for a chance to share in the profits you’ll generate. When you have a property or land development project in mind that requires finance, we can connect you with the right partnerships that could turn your vision into a reality. Our investor network is keen to seize opportunities that are profitable and backed by experienced developers. We bring together ambitious developers and those looking for opportunities to fully fund 100% of land and development costs for a chance to share in the profits you’ll generate. Typically, developers will obtain a 50% share of the profits, allowing them to work on exciting projects and profit even when they don’t have the initial capital to back it. With backers looking for a range of project sizes, we could find your perfect joint venture partner to get your project off the ground. When you approach us, we’ll act as a facilitator, connecting you to carefully chosen backers who have an appetite for supporting property developers that are eyeing profits. You’ll still be at the helm of your project, creating your vision and putting your expertise to use. 100% development capital simply means you don’t have to put in any of the cash needed to develop the project, but you’ll still profit. While there’s assistance on hand should you need it, you’ll be responsible for manning the development project and doing what you do best. Once the properties have been sold, the profits will be divided between you and your partner according to percentages that have been agreed upon. Usually you can expect to receive 50% of the profits. To kick-start your next property development project, fill out our contact form below to start the process of securing finance. Do I qualify for 100% development capital?